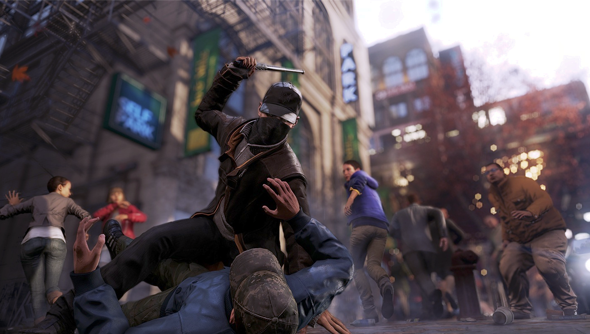 Watch Dogs is now out; here’s our Watch Dogs review. If you’ve been watching your watch waiting for Watch Dogs you’ll likely have been saying something along the lines of “Ah ha, little more than a month to go.” That was when it was set for a 22 November release. Well, you best set your watch for 2014 because Watch Dogs has been delayed. “Our ambition from the start with Watch_Dogs has been to deliver something that embodies what we wanted to see in the next-generation of gaming,” wrote Ubisoft in the press release they fired our way. “It is with this in mind that we’ve made the tough decision to delay the release until Spring 2014. Such a long delay suggests it’s a fair bit more than polish they’re adding to the game. I wonder if there are any core mechanics we’re going to see removed/altered. Their base capture system, which is largely lifted from Far Cry 3, could do with an overhaul to separate it a little from the island shooter. Hopefully Ubisoft will speak more on what will be changed in the game soon.